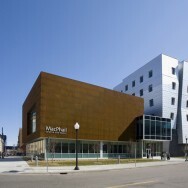 In 2007 the MacPhail Center for Music relocated its $17 million facility to Minneapolis’s Mill District near the Guthrie Theatre. The new facility consists of a six-story tower housing classrooms, practice studios, and administrative offices, and a two-story wing with additional classrooms and grand performance hall. 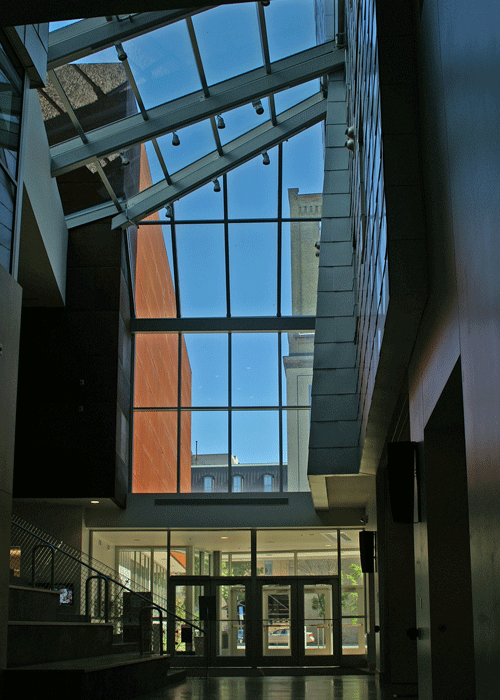 A two-story glass-enclosed atrium lobby divides the wings and doubles as a secondary performance venue where patrons sit on the grand staircase to listen. Natural daylight provided by a large steel-supported skylight that slopes down from the fifth floor bathes the area in natural daylight. 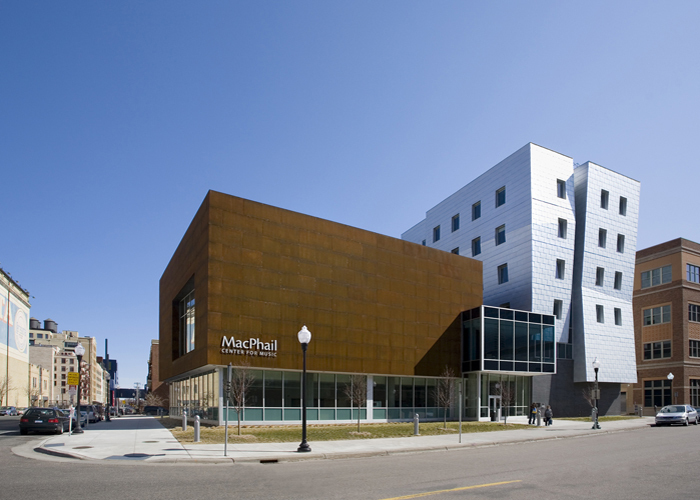 To accommodate the architect’s desire for flexibility and the creative freedom to economically “mold” the building, concrete was chosen as the main building material, which allowed flexibility for positioning the exterior wall system at different locations at each level. A steel roof system was chosen to manage the extra long span required for the 2,850 square foot grand performance hall. Another of the project’s challenges was prevention of sound leakage from all the practice rooms, especially during performances. 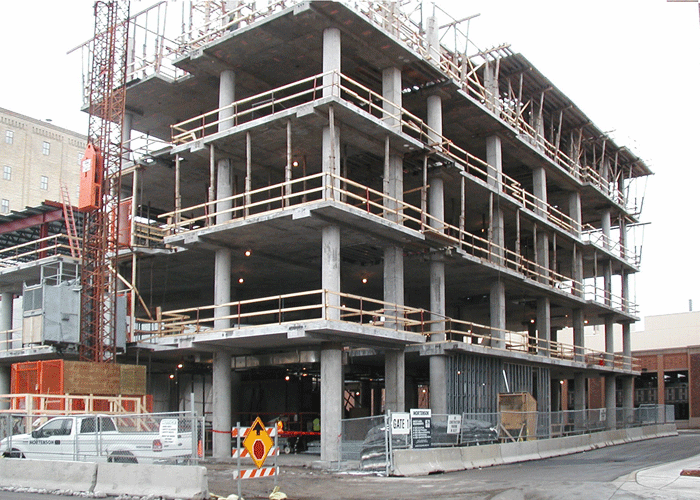 The solution was to use 7 ½” post-tensioned concrete with 2 ½” concrete topping and 1” acoustical mat on all floors. 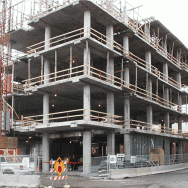 The primary structural system for this state-of-the-art facility is cast-in-place concrete flat slab with post-tensioned tendons and mild steel reinforcement. 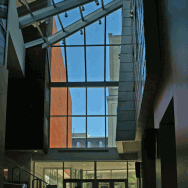 Exterior materials are glass, metal, and brick. The lateral force resisting system consists of a moment-resisting frame without shear walls. Conventional spread footings bearing on engineered fill support the structure.